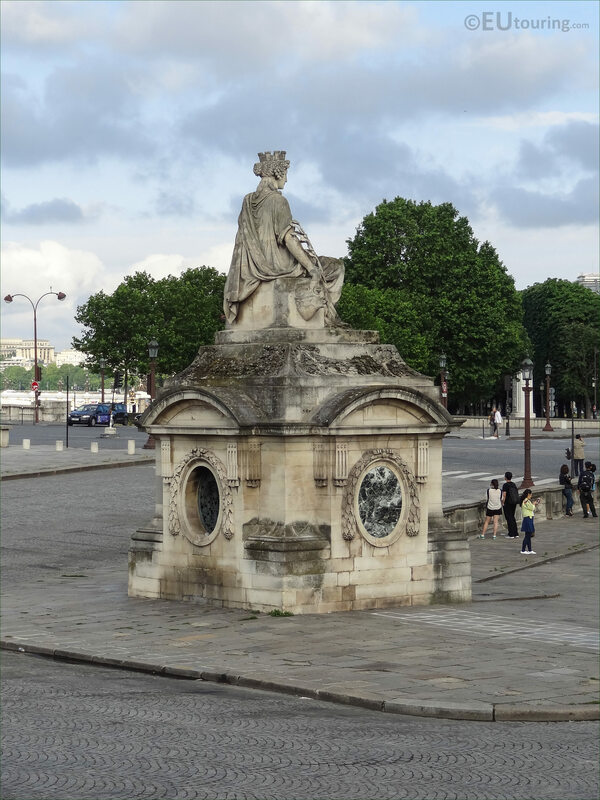 We were in the 8th Arrondissement of Paris at the Place de la Concorde, when we took these high definition photos showing a statue called Marseille, which was sculpted by Louis Petitot. 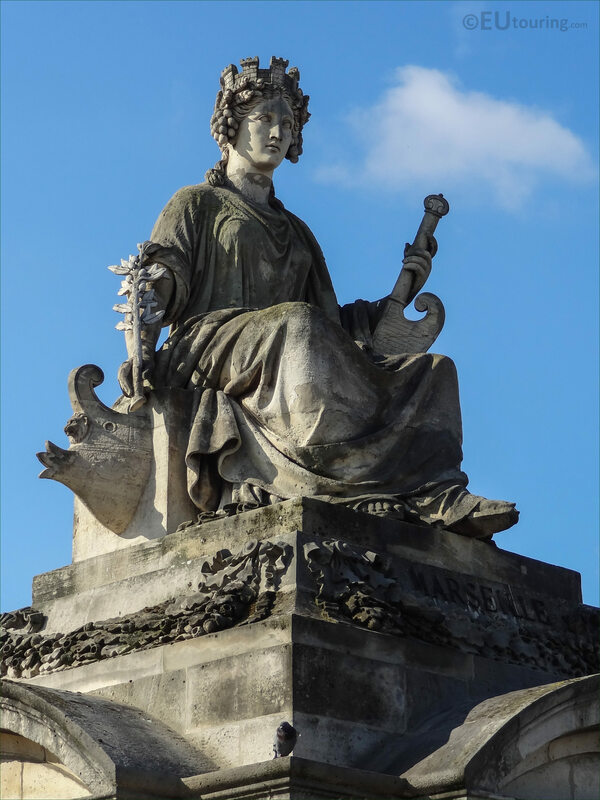 This first HD photo shows a statue called Marseille, which is an allegorical statue designed to depict the City of Marseille, and is one of eight different statues that can be found at the Place de la Concorde that represent different cities in France. 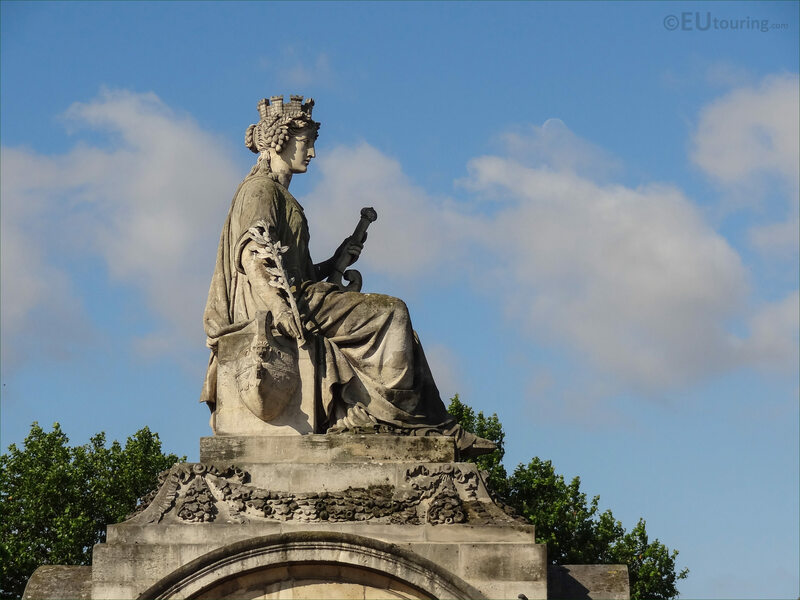 Each of the female figures has different attributes that relate to the city along with specific other features that were designed by the architect Jacques Ignace Hittorff, with one of these being a crown in the form of a castle, as you can see from this close up photograph. 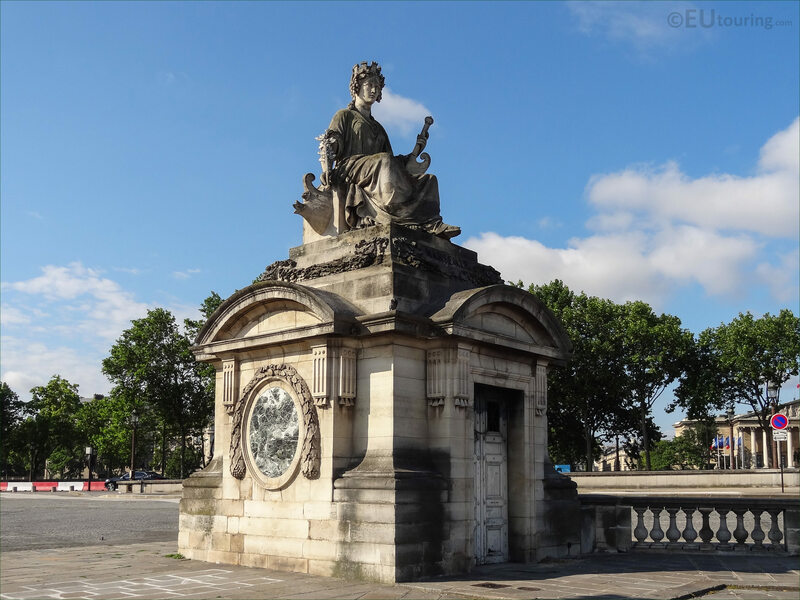 However, before we get ahead of ourselves too much, you will find that the Place de la Concorde is a very historical square and the largest in Paris, which was originally designed back in the 1700s by the architect Ange-Jacques Gabriel who was born in 1698 to a family of architects, studying and working with his father plus under the royal architect Robert de Cotte. 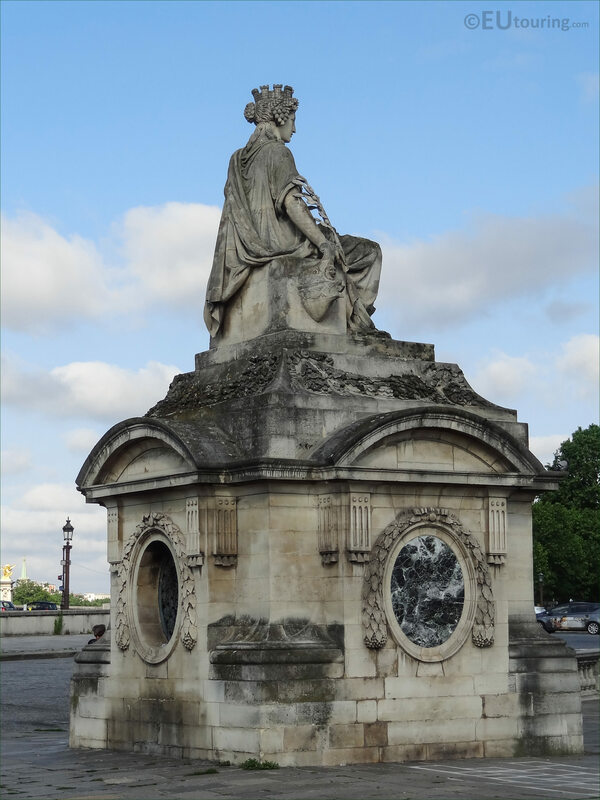 Ange-Jacques Gabriel designed the two Hotels Particuliers and the octagon shaped square of the Place de la Concorde, which at the time was named Place Louis XV after the king reigning at the time, and although his original plans were even to include fountains, these were not put in place until the redesign in the 1800s when the statue were also added. 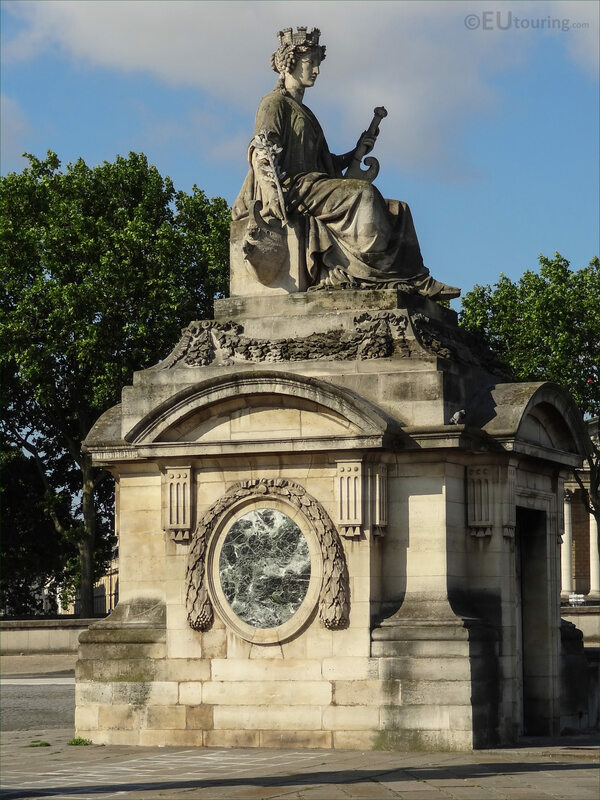 So it was when the square was redesigned by Jacques Ignace Hittorff after the French Revolution and during the reign of King Louis Philippe I, that the statues were designed by this architect who commissioned four different sculptors to produce two statues each representing Cities of France, with this one being the City of Marseille statue. 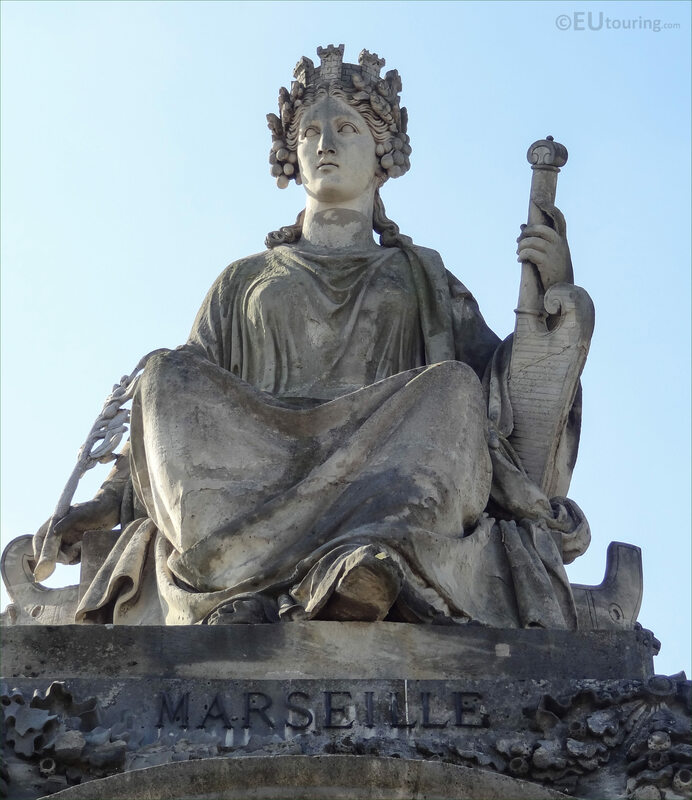 This particular allegorical statue depicting the City of Marseille was produced by Louis Petitot, who was born in 1794 with a full name of Louis Messidor Lebon Petitot, initially trained with his father Pierre Petitot who was also a French sculptor, but he also studied under Pierre Cartellier and won the Prix de Rome in 1814. 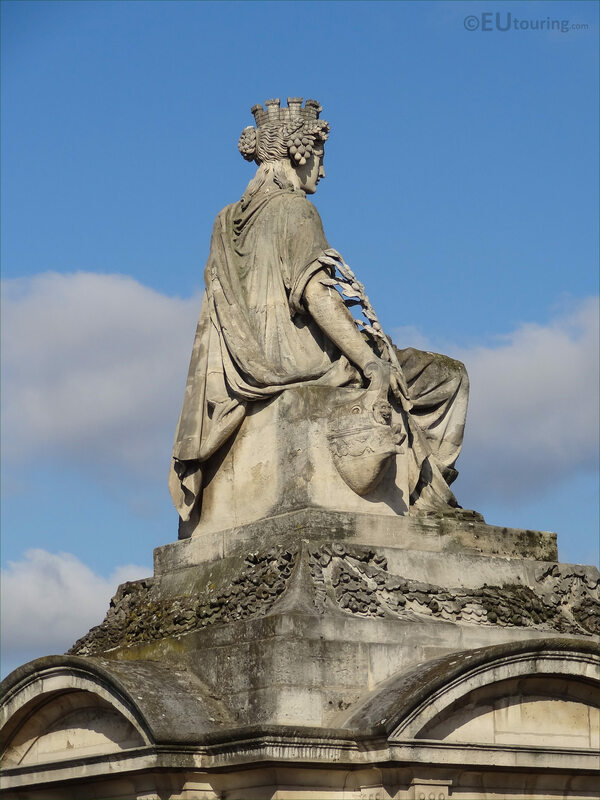 Louis Petitot received numerous public commissions for different statues and sculptures including for The Louvre as well as this statue of Marseille and another for Lyon at the Place de la Concorde, which were both sculpted in 1836, however, he also produced the monumental statues on the Pont du Carrousel that are in a very similar style to those of the Concorde Square. 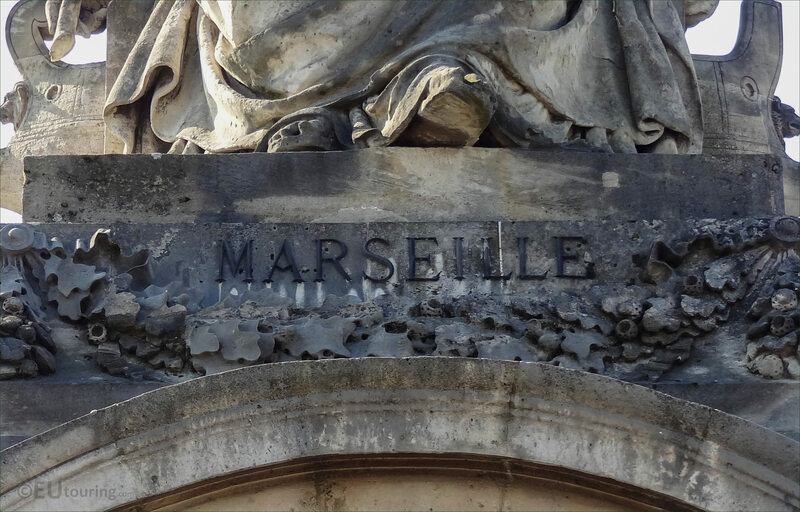 Yet there are some sources that refer to this statue of the City of Marseille being sculpted by Pierre Petitot, yet as you read earlier, he was the father of this sculptor, so although we have been unable to verify this, maybe he was initially chosen, rather than his son Louis Petitot. 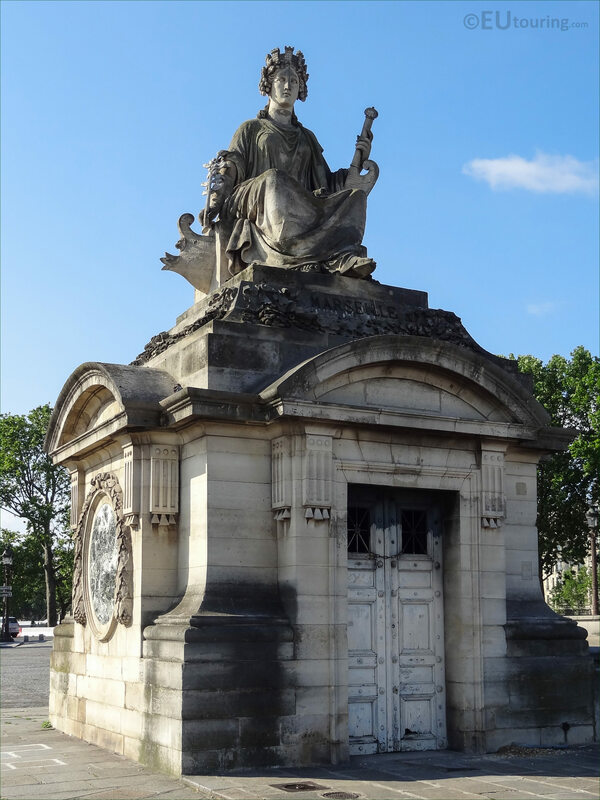 But as you can see from this high definition photograph, the statue of the City of Marseille is positioned on a small pavilion that was designed by Jacques Ignace Hittorff and called the Guerite de Gabriel, which in English translates to the Guardhouse of Gabriel, so named after the architect who designed the original square, these were positioned at strategic points on the perimeter of the Place de la Concorde. 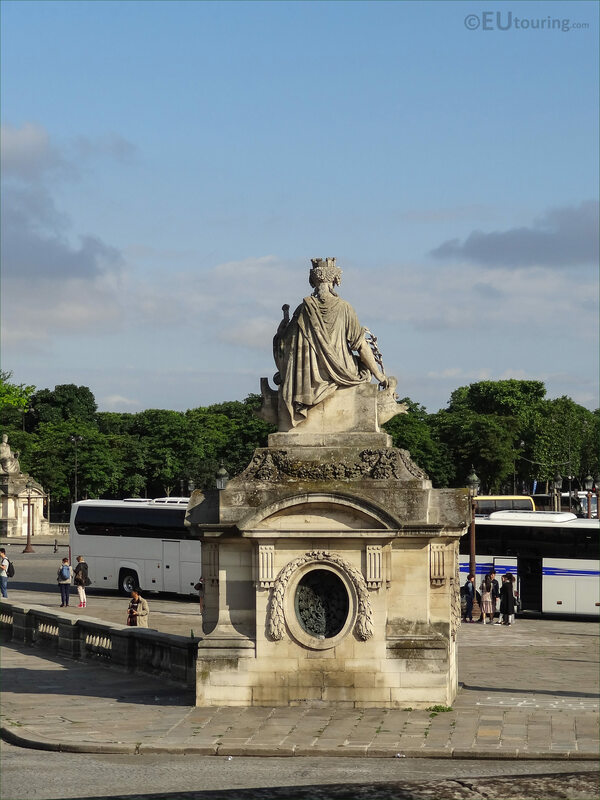 So here you can see a close up of the name that relates to this particular allegorical statue on the Place de la Concorde, which is positioned below the front of the Marseille statue at the very top of the Guardhouse Pavilion that was one of the eight designed by Jacques Ignace Hittorff. 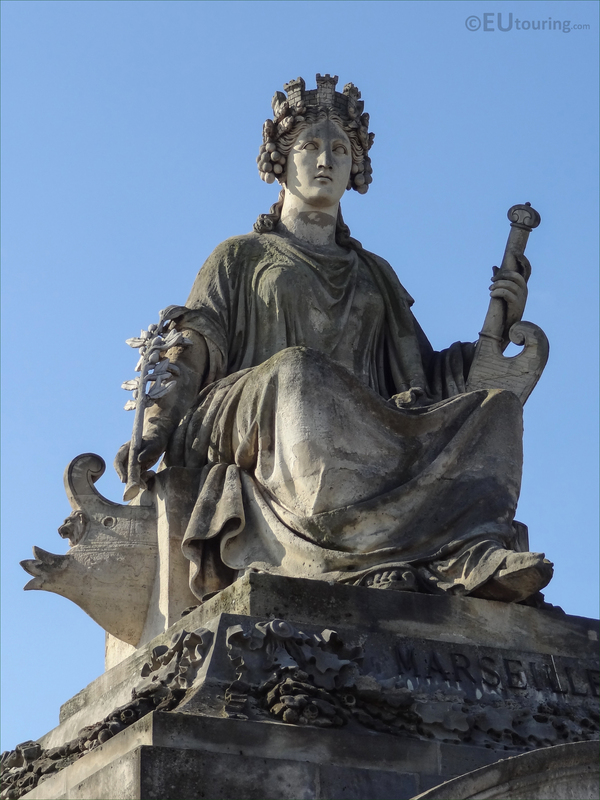 Although it was Jacques Ignace Hittorff who designed the statues depicting the cities of France, he commissioned four different sculptors to produce two of the monumental statues each, with this one of Marseille and the one for Lyon both being produced by Louis Petitot. 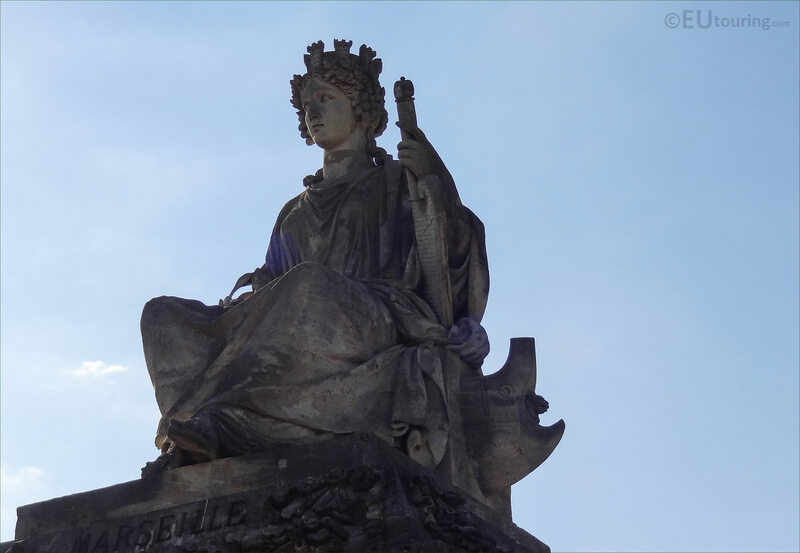 Now we mentioned earlier that each statue had specific features relating to the wealth of the particular city it represents, and Marseille is actually a port city in southern France that has been on a major trade route and fishing port since as early as around 500 BC, so hence why this female figure is holding a boat rudder in her left hand. 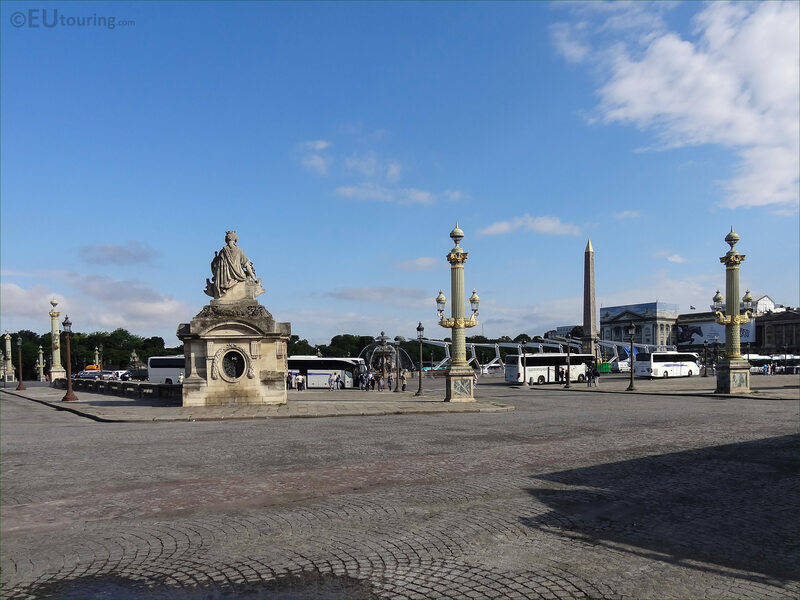 Also, each of the statues was placed in a strategic position on the outer perimeter of the Place de la Concorde at each of the eight points, which relates to the geographical location of the city in France, so in this high definition photograph you can see a large part of this famous square, with the City of Marseille statue located in the southern most corner nearest to the River Seine and close to the Musee de l'Orangeries within the Jardin des Tuileries. But getting back to the artist that produced this Marseille statue on top of the Guerite de Gabriel Pavilion Guardhouse, which was by Louis Petitot who was born in Paris in 1794 with a full name of Louis Messidor Lebon Petitot and initially he studied under his father Pierre Petitot before entering the Ecole des Beau Arts under Pierre Cartellier, and won the Prix de Rome in 1814. 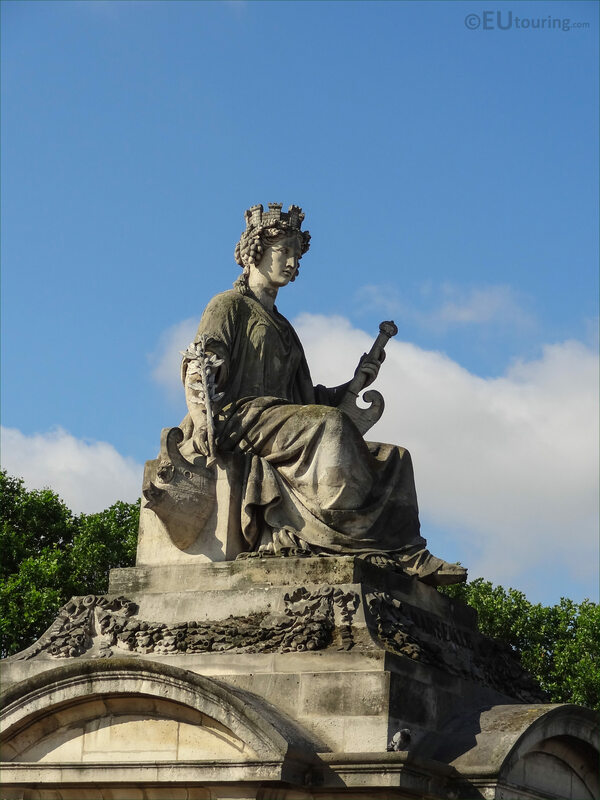 You will find that some places state Pierre Petitot was the author of this statue and the other depicting Lyon, however, other sources statue it was Louis Petitot, which is more realistic considering that he was also commissioned for the four monumental statues on the Pont du Carrousel, which are a very similar style of allegorical statues. 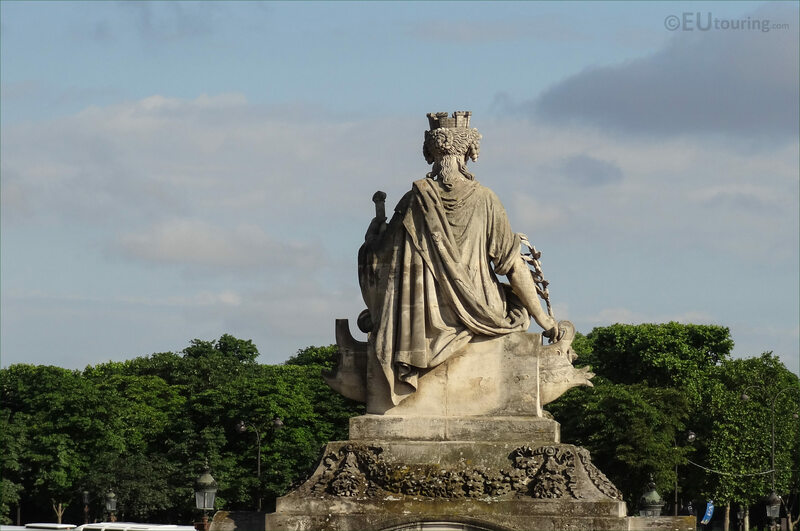 In fact, upon his return from the French Academy in Rome, Louis Petitot again worked with Pierre Cartellier on an equestrian statue of King Louis XVI, which he had to complete after Cartellier passed away, which led to Louis Petitot receiving many public commissions for monumental statues, sculptures and funerary monuments, some of which can be found at tourist attractions such as The Louvre, Chateau de Versailles and Pere Lachaise Cemetery. 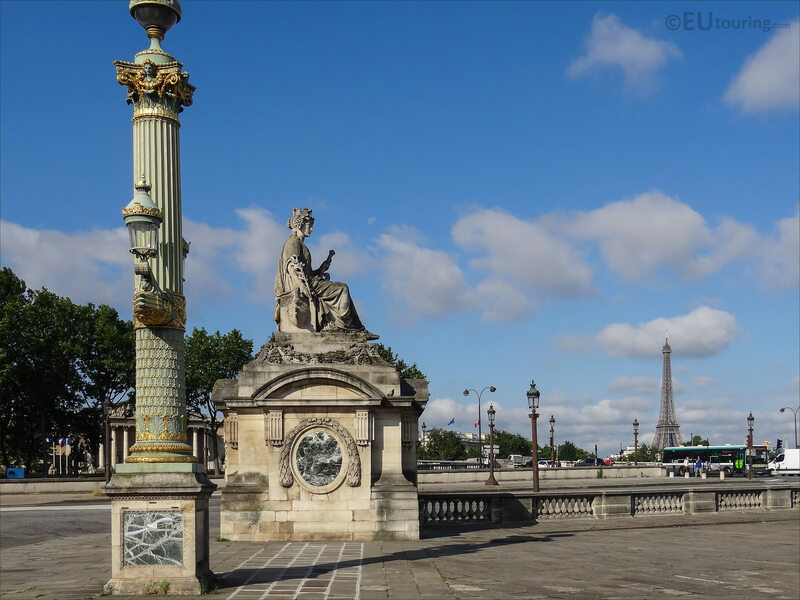 And we took this photograph looking at the City of Marseille statue, which in French is La Ville de Marseille, from close to the boundary of the Place de la Concorde nearest the Jardin des Tuileries, over towards a part of the Jardin des Champs Elysees, and to the left of the image you can see the road that leads to a bridge over the River Seine called the Pont de la Concorde.